Police are searching for a driver after a hit and run in Goring this afternoon. A police spokesman said a blue car, possibly a Toyota, is being sought after a driver collided with a woman outside the Mulberry shopping parade in the A259 Goring Road. The car did not stop and headed off towards the town centre, said police. 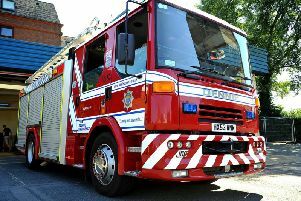 Emergency services were called to the scene at 3.44pm and the woman, who is thought to be in her 30s, was treated at the scene by paramedics before being taken to Worthing Hospital. Any witnesses or anybody with information about the car or driver involved is asked to report online at https://sussex.police.uk/appealresponse or call 101 quoting serial 848 of 06/11.